3 of Jimmy's siblings are coming in from out of town. The nephews and their parents came tonight. They were in the car for 10 hours and had lots of pent up energy. We fed them then let them run in the park for 1.5 hours. We also took a tour of Jimmy's work. 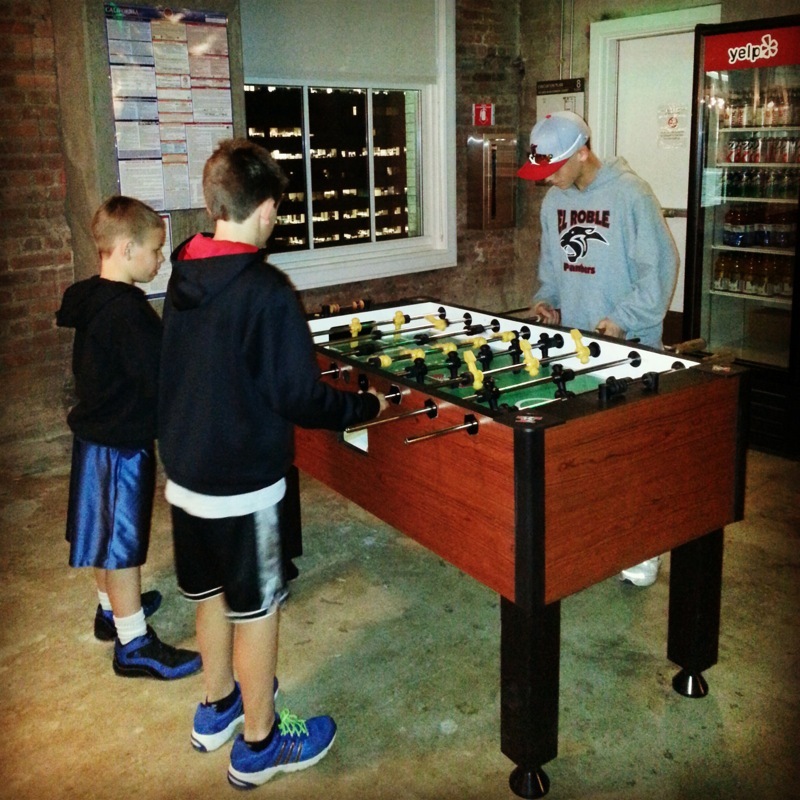 I think they liked that there was a foosball table. And the plethora of nerf guns, but I didn't think to capture that moment. We're meeting up again tomorrow morning to ride the duck!